Step away from the salad, advises the CDC. Specifically, you should stay away from romaine lettuce in every possible form: baby romaine, spring mix, whole heads, precut, the works. An outbreak of pathogenic E. coli across 11 states and Canada has been traced to romaine lettuce, an echo of a similar outbreak that happened at the same time last year. The warning extends to lettuce in restaurants, shops, and your home, and the CDC recommends taking no risks: if you think you bought the lettuce before the current outbreak, trash it anyway. If youre not sure its romaine, trash it anyway. If you had romaine in your fridge, they recommend washing down the entire fridge with warm, soapy water; and, if you're inclined to be extra cautious, a bit of diluted liquid bleach to follow. Why the high level of alarm? The outbreak is caused by a particularly nasty strain of E. coli that can, in some cases, lead to a type of kidney failure; its not to be trifled with. So far, 32 people in the US got sick between October 8 and 31, of whom 13 have been hospitalized. In Canada, six people have been hospitalized out of a reported 18 cases. So far, no deaths have been reported. Because of how long it can take before the CDC gets wind of a case, the agency thinks it wont yet know about cases happening since the first few weeks of November, so those numbers will probably change. To put things in context, an average of 102 people were killed in the US every day by car crashes in 2016, so calibrate your sense of panic accordingly. But the CDC hasnt yet been able to trace the supply chain of the contaminated lettuce, so all romaine should be considered suspect. “When you hear news reports about outbreaks of E. coli infection,” says the CDC, “they are usually talking about E. coli O157[:H7].” Thats a strain of E. coli that produces Shiga toxin, which stops cells in a host from functioning properly. It's carried by animals, including cattle, sheep, and goats. Some animals, including cattle, are capable of carrying O157:H7 without being affected by it. But in humans, Shiga toxin leads to bloody diarrhea and, in more serious cases, a type of kidney failure called hemolytic uremic syndrome (HUS). Somewhere between one in 10 and one in 20 people with an E. coli infection like this develop HUS; although most of those people recover, it can be fatal. But not all E. coli is dangerous. The species is hugely diverse, with many strains playing an outsized role in research—it's one of the early species to have its genome sequenced, is used to produce human insulin, and most recently, has served as a bacterial computer. We carry our own strains around with us all the time: they help us by protecting our guts from hostile bacteria species, and they even produce vitamin K.
Genetic testing found that this years E. coli outbreak is closely related to the one that happened at the same time last year, which suggests the same source of contamination, according to the Public Health Agency of Canada. While there was another O157:H7 outbreak earlier this year, that strain was more distantly related, although still linked to romaine lettuce. While the exact source of this new outbreak will probably turn out to be different, the repeated culprit points to shared risks of contamination. 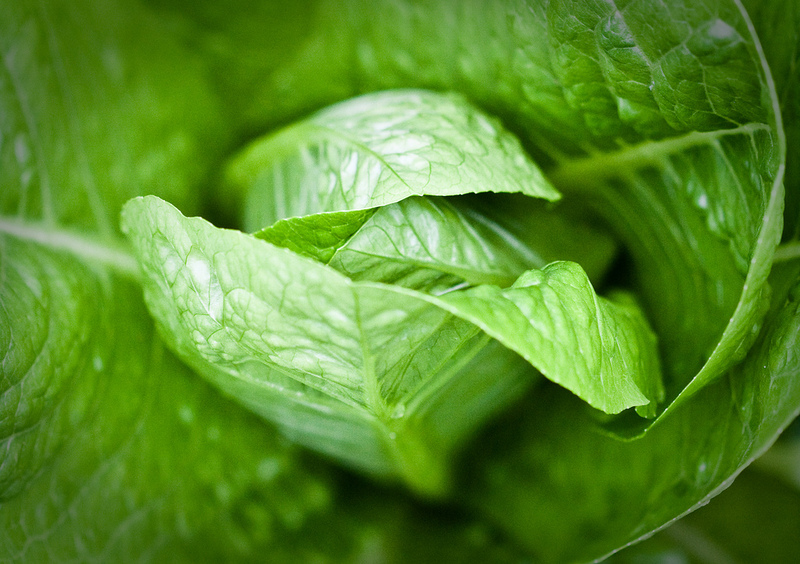 Contaminated salad leaves might seem like something that has only recently grown as an issue. While this is true in some ways, its difficult to say for sure. Detection of multistate outbreaks is getting better, so cases may have slipped by unnoticed in previous years, especially with numbers like just one or two victims in a whole state. And people are also eating more leafy greens, so if there is actually an increase in outbreaks as opposed to an increase in detection, that probably plays a role. But salad leaves are certainly a cause for concern. There are multiple opportunities for leaves to become contaminated: from soil, water, or manure-based fertilizer; with opportunities occurring while growing; and during handling, storage, or transport. Because theres no point at which salad leaves can be heated—unlike milk pasteurization or hamburger cooking—theres also no opportunity to really get rid of the contamination. According to the CDC, leafy vegetables are the food category individually responsible for the highest number of food-borne illnesses. Along with the lack of cooking, a particular risk factor might be pre-cut and mixed salads: the processing along with packaging in plastic creates an ideal environment for bacteria and makes any source of the outbreak harder to trace. In the long run, food-safety improvements might be able to make a dent in the risk associated with salad. But you finally have an excuse not to eat your greens—for a little while, at least.